IoT is transforming our lives into a new norm of “Smart Living”. 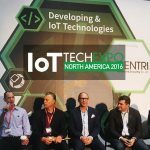 At the North America IoT Tech Expo 2016 panels, exhibitors illustrated the ways IoT can be used in everyday life. Data clearly supports that people are interested in using IoT. In 2008 there were reportedly more “things” connected to the internet than people. Accordingly to Gartner, there will be more than 26 billion devices connected, and believe it or not, this is one of the lower estimates. According to data from Accenture Interactive, more than two-thirds of consumers are planning on purchasing IoT devices for their homes within the next few years. People are buying IoT devices, putting them in their homes, cars and cities. How will those IoT devices change the cities, homes, and lives of the consumers? Neil Strother, Principal Research Analyst at Navigant spoke about IoT Smart Living during his opening remarks of the Connected Living panel. Strother described a future where consumers are connected via IoT devices everywhere in their lives. Whether at home, in the car, or at work. IoT devices, constantly connecting to the cloud and gathering data about the consumers’ activities and movements will be with the consumers everywhere. More importantly, the devices will connect with each other, and more powerful computers will make it possible for information pertaining to a consumer’s needs or habits to be applied to their interaction with IoT everywhere. Strother even proposed that this interconnected IoT that will surround the consumer will free that consumer from a physical computer by making it available for the consumer to connect with their computer from any location. Strother went on to explain how he sees IoT is changing our relationship with technology. IoT will bring the internet and technology out of a PC and into the devices that we carry in our hands or on our wrists. By making IoT mobile and interconnected in every location the data of IoT becomes mobile itself. 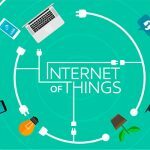 The interconnected relationship of IoT devices will make the world of technology completely available to the consumer through smartphones, tablets or smartwatches. Strother believes this will lead to “a great trend towards untethering with the PC world”. The untethering Strother referred to is the change from a world where users and consumers connect with devices, internet and other technology by a single location. A physical PC versus a variety of interconnect IoT devices that are present in every location. In fact that change has already begun. Wearable and mobile IoT devices in-hand already make it easier to access the internet and communicate without being attached to a physical location. According to Strother and other panelists who spoke throughout the two day IoT Tech event, the experience of living with IoT will be dictated by the platforms and devices consumers use to access the sensors and the data of IoT. The interconnectivity between sensors define how data can be implemented and analysed. A smart IoT city is composed of many parts: the sensors gathering the data, the programs and devices analysing the data, the cloud or private inter-connected systems communicating the data, as well as the people living, breathing, and creating the data. A connected city has a unique set of challenges within the IoT world. However, there may be countless applications and benefits. 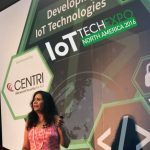 Panelists and speakers touched on a few of those potential uses and challenges during the Smart Cities, Connected Living and Connected Industries panels of the North American IoT Tech Expo 2016. A member of the Keynote Panel: Smart Cities on the Move, Sergio Fernández de Córdova, the co-Founder of P3GM, UN-ECE BAB/Expert and United National Development Programme, discussed the biggest challenge as well as boon to IoT: infrastructure. During the panel when the moderator asked what speakers thought the most exciting thing was for IoT and the city, Fernández de Córdova did not hesitate with his answer. Citing a recent infrastructure project in Australia, the National Broadband Network (NBN), which lay thousands of miles of fiber cable across the country, he replied that what NBN did was one of the most monumental movements from a national building perspective. NBN is set to provide up to 1000 Mbit/s speeds and connect to 93% of Australian businesses and households by 2021. Fernández de Córdova said that NBN literally laid down the backbone for IoT and smart cities. IoT is tied to cloud and internet connectivity, and just like roads and rails are necessary infrastructure for manufacturing, accessibility to fast connection is necessary for the continued development and implementation of Smart Cities. IoT infrastructure can come from unusual sources and in unusual ways. All IoT systems are composed of sensors gathering data. Dan Evans a member TALK Consortium speaking on a panel titled “Smart Lighting and Smart Building,” suggested that even IoT lighting systems could serve a second function, such as gathering data and managing other systems within buildings and the city infrastructure. Evans and his fellow panelists outlined a system for building and retail management that could be adopted to protect the city. An interlocking system of sensors in lighting programs can provide vast amounts of data, even for uses not yet described. Don Barnetson the CTO of Lunera Lighting, Inc. suggested that by using mesh networks and other technologies on existing and retrofitted lighting system you can produce “kilobits of data per second on each one of the devices”. The data collected can serve as a giant IoT infrastructure to manage, protect and maintain the city. Evans and Barnetson both imagined a world where repairs on electric lines and roads could be carried out before a problem had to be reported manually. 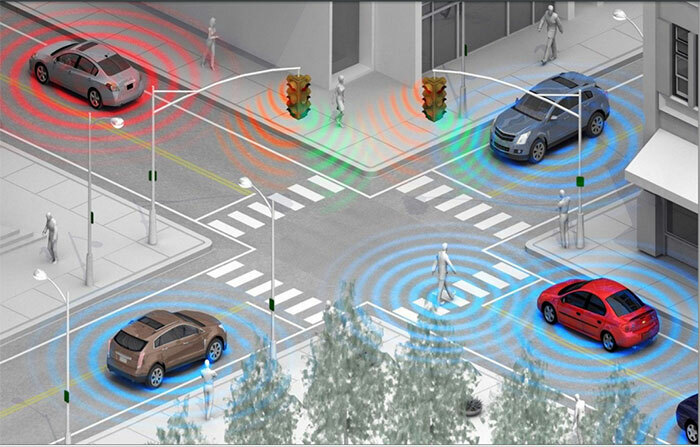 Figure 1: Image reproduced from Keynote speech “Our Future Belongs to Smart Cities” by Jonathan Reichental illustrating the interconnected nature of different features within a city. The potential applications for IoT infrastructure in the city, while being limitless, must be carefully planned in order for that infrastructure to be built. 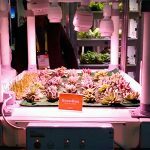 Evans pointed out that IoT lights that gather data on their surroundings and control the lighting system directly are more expensive to implement and install. Developers and designers are challenged with identifying the potential applications and uses for such a system before it has been designed. Evans explained that when it comes to “Smart Cities,” to whom you pitch the project ideas makes a huge difference. When discussing multi-use IoT infrastructure with city officials whose area of interest, expertise and funding is limited to the light system alone, those officials, through no fault of their own, are unlikely to be interested in further applications. However, if developers pitch large-scale IoT projects as an investment in the future of the Smart City to individuals with a wider scope of interest and awareness of the interconnected problems in a city, then the idea will more likely be considered. The rise of IoT in transportation, and autonomous cars has been constant. Multiple speakers, panels and exhibitors spoke about the rise of autonomous cars, the autonomous car fleet and the shift in the car market. Car fleet is defined as a system of cars, usually owned by a commercial company, government agency, rental company, rather than by an individual or family. Vehicles owned by current non-autonomous car fleet could theoretically be in use 24 hours a day, depending on refueling and repair times. However they are still limited by the need for an available driver. The autonomous car fleet of the future may operate on similar principles, completing deliveries or transporting passengers. Companies, such as Tesla and Google, have been normalizing the idea of fully-automated and partially-automated cars for the general public for years. However, the big shift in transportation that many presenters spoke about wasn’t just the rise in autonomous cars, but the shift of cars from personal objects for transportation to fleets – serving the masses. The amount of data produced by an autonomous car is astronomical. Abhay Jain, the Founder and CEO of Activescaler and a speaker during the IoT Central talk on Connected Cars commented on how often people underestimate the amount of data an autonomous car can produce. Automotive data is complex and vast. According to Jain, a single autonomous vehicle can produce 25 terabytes of data within a minute. The question with autonomous cars that Jain was most interested in was how to analyze those piles of data to make better use of the cars themselves. Currently, single cars driven by individuals only utilize a small amount of their market potential. Jain claimed that there are approximately one billion vehicles in use around the world, while the current human population sites at about 7 billion people. Yet, despite the 7:1 ratio of people to vehicles the utilization rate of all vehicles, including all commercial trucks and vehicles, is less than 8 percent. Clearly, most vehicles are not being used to their full potential. Increasing the utility of existing cars, or designing commercial and individual vehicles that can realistically be utilized with greater efficiency would represent a huge reduction in waste. Correctly utilizing the vast amounts of data in an autonomous car opens the door for fleets of autonomous cars. Autonomous cars would be able to move themselves or their cargo, to meet the needs of not just individual car owners, but the larger community. A car that is always driving is a fully utilized commercial good. Timur Pulathaneli, Supervisor, Connected Vehicles & Services with Ford Motor Company, pointed out that “If you have an autonomous car that is run by the city of London, for example, one guy gets in, gets out, the next guy gets in. It’s 24 hour service. It will not stand at the curb at any time”. Pulathaneli, like Jain, and many others spoke about the future of autonomous car fleets as a natural progression of the industry. In fact, during the panel “Connected Cars: autonomous driving and the future of mobility,” Sebastien Henot, Manager of Business Innovation with Renault Innovation Silicon Valley, described a future where many people would not want to own a car. Henot claimed that in current cars the value drops regardless of use and that “depreciation is not a function of the usage; it’s a function of the time”. However, Henot claimed that in autonomous car fleets it will be the opposite. Alpesh Saraiya, a consultant for IoT Central agreed by saying “Fleet management is a strong growth path. According to markets, it’s expected to grow from 10 billion to 27 billion”. Currently, fleet management is limited to non-autonomous cars, AKA cars. Fleet management today is also primarily limited to larger corporations. The existing IoT hardware in fleets collect huge amounts of data and use predictive analytics software to analyze the data. 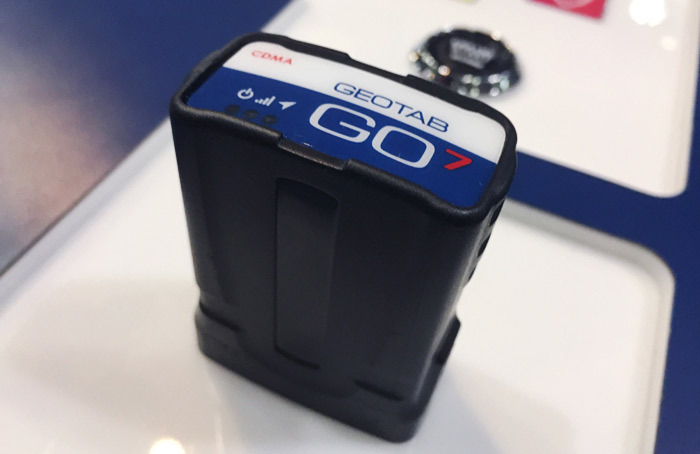 One company, Geotab that produces the hardware and analytic software, had their newest hardware on display at the exhibition. 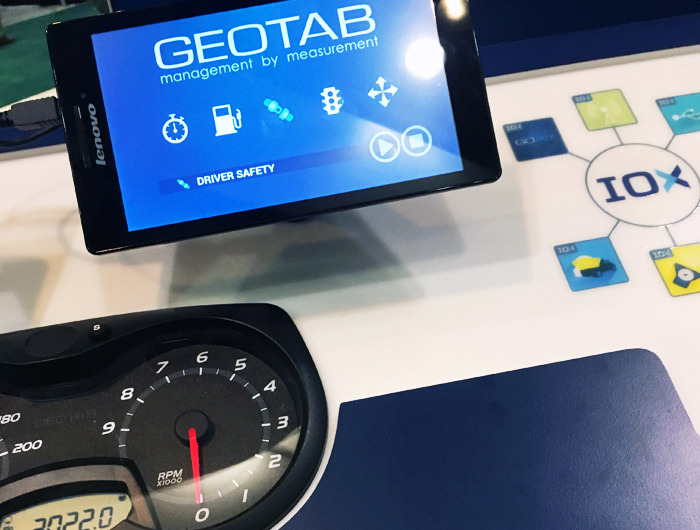 Geotab claims their device produce engine diagnostics to identify when a car needs repair before it occurs and provide the following services: In-vehicle coaching, track miles driven and time spent, automatic accident detection and notification. Figure 2: Fleet management hardware and MyGeoTab web-based fleet management software from the open platform company Geotab. MyGeoTab is designed to illustrate route optimization, fuel usage, engine health data and real-time GPS location of vehicles within the fleet in an organized, scalable manner. IoT is clearly changing the nature of cars. Sutherland coined cars as “smartphones on wheels”. Many cars have the computers. More and more frequently, they also have the sensors and interconnected systems that are characteristic of IoT. In the future, fleet management for personal transportation and the autonomous car may change the nature of car use and car ownership even more. Perhaps owning an individual car in the future may be seen as a luxury item, purchased by those who enjoy driving as a hobby, not by a means of transportation. Unlike today, where at least in the U.S. driving and car ownership is considered a necessity. The first wave of IoT to infiltrate the consumer home has been very successful and was implemented primarily by the traditionally least likely markets. Neil Strother, Principal Research Analyst at Navigent during his opening remarks of the Connected Living panels reported that according to an online Harris poll 11%of internet users already have a smart thermostat. Even more impressively, at the time of the poll in 2015, 15% of the older demographics (defined by Strother as baby boomers and older) had a smart thermostat in their home. 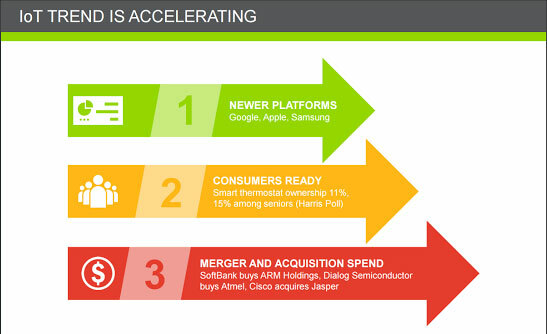 Figure 4: Featured slide from Strother’s opening remarks “IoT Connected Living: overview of the IoT market” highlighting his view of the three steps accelerating consumer-based IoT products for the Home and Smart Living. Strother also added that IoT trend is accelerating; he identified the current applications for connected devices and sensors as only the first wave of IoT markets for the home. Those sensors include control of household specific devices; heating, air conditioning, lighting, security, and the interconnected hubs. The interconnected hubs, often nicknamed “virtual assistants” allow easy consumer interaction. The success of IoT in the home may very well be tied to those assistive devices and to the ease they bring to the consumer. Multiple panelist and speakers throughout the two day event mentioned their own home-assistive devices while speaking, from Amazon Alexa-Enabled Echo to Google’s GoogleHome. 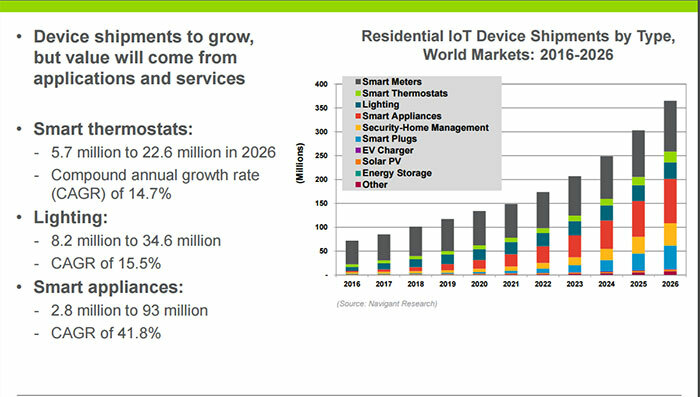 Figure 5: Bar graph showing growth of residential IoT device(s) usage, presented at Strother’s opening remarks “IoT Connected Living: overview of the IoT market”. Data generated by Navigant. Other aspects of marketing IoT for the homes are unique. Bill Scheffler, a senior representative of IPSO alliance during a Keynote panel discussion on “Are We Entering the Connected Living era?” mentioned one aspect of developing IoT for smart homes that seemed to surprise him. Specifically, an issue that had not been addressed by other speakers during the conference: fashion and design. A deciding factor of devices built for the personal home must be able to match an individual’s interior design, on top of security, interconnectability, and sensor capabilities. Scheffler pointed out that IoT devices for the home need to give consumers a chance for interoperability and choice. If a consumer does not like the look, or exact design of an object that does not provide any physical options they may chose another device, independently of the technical specifications of the device. Consumers want to buy things that look good and give them choices within their home. As with all IoT applications there are issues surrounding security. Neil Strother at Navigant spoke about Issues surrounding security during his opening remarks of the Connected Living section. He described a few recent instances of interconnected devices, including light bulbs being hacked by remote access. After all, as Strother put it: “Even the experts can get hacked”. The other questions of security in IoT for the home market include concerns surrounding devices made to enhance the consumer’s physical security, such as locks, cameras, and sensors around the house. These devices must have a secure access to the cloud and other parts of the system, just like all IoT. But, personal security devices are useless if the consumer turns them off. During the Keynote Panel on Connected Living, panelist David Wesendorf, President of Binatone, discussed one common complaint with a previous iteration of their product, and how Binatone is improving their security device. The largest complaint for their product is false positives, namely the user receiving an alert when there is no intruder. The problem, as Wesendorf described it, was with an external camera that communicated with the consumer through personalized alerts, sometimes sending them unnecessarily. Wesendorf told the story of his own home security device where a spider living in his garage had activated the sensor on multiple occasions. So frequently in fact that he has received multiple alerts in a single day. Wesendorf admitted that inactivating the system due to an active spider was a big problem. To address such problem, Binatone, a subsidiary of Motorola, is working towards smarter cameras that can identify the difference between individuals rather than detect motion. The cameras will no longer rely on pixel differential technology to identify a potential intruder in software. 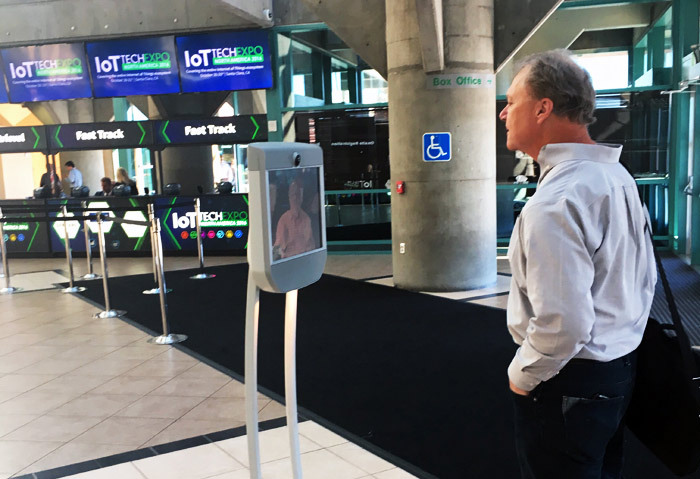 Instead, Binatone hopes to utilize facial recognition software, even allowing the consumer to personalize the faces of familiar family members or friends. In the future, the home security system will not only ignore a pesky spider but will also be able to identify the dad, sister, or babysitter from a potential intruder and alert the consumer accordingly. Future Markets of IoT: Limited to the Corporations or Open to Competition? According to Johannes Ernst, the CEO/CTO of Indie Computer, the future of IoT will not be in the hand of large corporations or the “overlord architecture” but in the hands of the consumer. In his talk Ernst discussed how the IoT technology entering consumers homes, cars and cities is often controlled by the producer. However, if the consumer can access and control how the data is collected the consumer should maintain the final control over their devices. Ernst stressed that even in larger systems, where devices connect the consumer’s home to their car, it is the consumer that has the final control to the data. Allowing a consumer to control their data will promote security, but more importantly to promote further innovation. Ernst offered the example of his own home where he used multiple maker system to rig his home pool’s motorized pump to optimize low-energy cost. 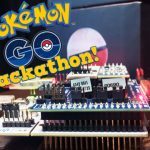 As an individual consumer he was able to use the existing pump and sensor, and adapt the machine’s system to control when the pump operated, thereby fixing a problem that the developers of his pump has not considered. In his presentation, Ernst used that example to highlight personal innovation to solve a variety of problems that individuals find in their own lives. Ernst admitted that funding for IoT may have to come from the public private partnerships, or sometimes even corporations, Ernst was enthusiastic that real innovation will only come with open source. After all, no one person or corporation has all the answers. 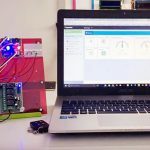 By keeping IoT in open-source consumers are encouraged to find new solutions that developers may never think of. Overall, throughout the conference a million new ideas, products and programs were proposed- for IoT in the home, car, and city. Autonomous vehicles will change the nature of car design, alongside the market of transportation, shipping and personal transportation. At the same time, IoT is being adapted into the home quickly. Home management, security and control has become IoT enabled. Developers are ready to adopt IoT infrastructure into cities themselves. Panelists and presenters describe a world where IoT will follow users from their bed in the morning to their car, work, leisure time, until they reach their home at night. If the user wants, they will be able to track the data collected from their everyday life everyday. What consumers, developers, users and innovators will do with all that data remains to be seen. The one thing every speaker, panel and exhibit did agree on was that IoT Smart Living could benefit many people, industries and cities. As Strother said so eloquently “It is all about making life better easier, faster, better, safer, more convenient”.